Wow! Such an interesting outfit! 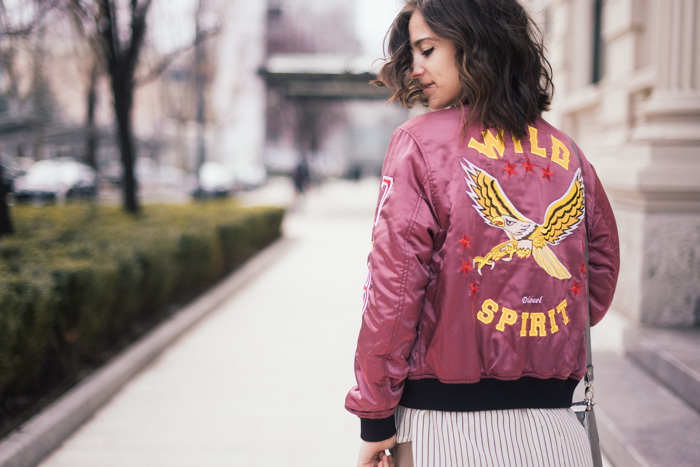 Your bomber jacket and boots are amazing!! Such a wonderful outfit, I love it. The jacket and the culotte are beautiful!